Azerbaijani films will be screened at the 14th Kazan International Muslim Film Festival. The film " Tardiness" by director Tahir Tahirovich was selected for the short documentary category, Report.az informed. Another national film "Pomegranate Orchard" by Ilgar Najaf ill be screened as part of out-of-competition program. Scriptwriters are Asif Rustamov, Ilgar Najafov and Roelof Jan Minneboo (The Netherlands). Operator-director is Aykhan Salar (Germany), animation director is Rafig Nasirov, executive producer - Akif Aliyev, and producer - Mushfig Hatamov. The 14th Kazan International Muslim Film Festival will be held in Kazan on September 4-10. In 2018, the festival will change its usual locations in Kazan. Although the opening ceremony will be traditionally hosted by Pyramida Complex, its closing ceremony will be held at Hermitage Concert Hall. The screenings of competition and out-of-competition programs as well as the festival’s side events will be held at Grand Cinema 3D Port at Riviera Complex, whereas Mir Cinema will showcase the festival’s parallel programs. The first forum of the directors of international film festivals will be held within the framework of the 14th festival. The forum will provide a networking and discussion ground for film industry leaders from Italy, the UK, Switzerland, Egypt, Turkey, Croatia and Nigeria. Since 2005, Kazan Muslim Film Festival is one of the largest film forums in Russia held annually in the capital of the Republic of Tatarstan. 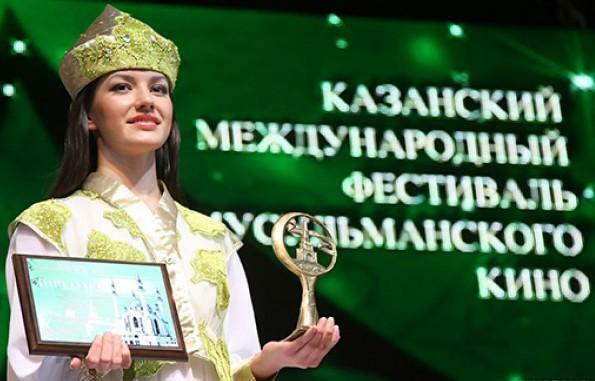 The founders of the festival are the Ministry of Culture of the Republic of Tatarstan, the Administration of the City of Kazan and the Council of Muftis of the Russian Federation. The concept of the festival is reflected through its official motto "Through the dialogue of cultures to the culture of dialogue".